A step in the right direction! We need more prescribed fire to help restore forests degraded by past management and to prepare for climate change impacts. Using prescribed fire in forest management projects under the correct weather conditions will allow smoke to penetrate into the atmosphere and not remained trapped, as it often does in the summer months. In June 2018, Oregon Department of Forestry and Department of Environmental Quality held a series of public comment hearings to intake community opinions on the proposed changes of the Oregon Smoke Management Plan. 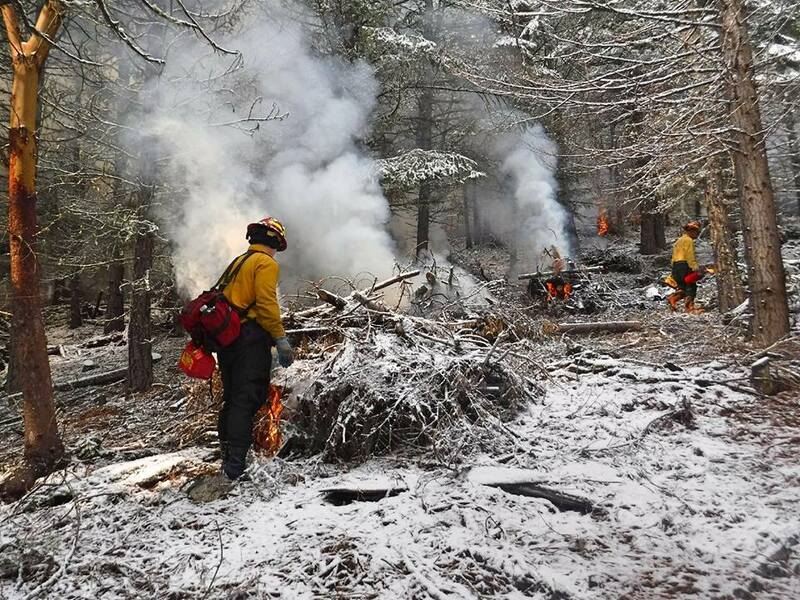 The Smoke Management Plan is administered by the Oregon Department of Forestry to manage prescribed burning on private, federal and other public land to protect air quality and maintain forest health. As required by law, Oregon State Board of Forestry and the Department of Environmental Quality must approve a plan, which was done on the 24th of this month. 174 people attended the five public hearings. 112 of them were Medford attendees. 74 people provided comment on the proposed administrative rules regarding the Oregon Smoke Management Plan through the formal rule hearing process, 36 comments being written and 38 comments presented orally. Comments were overwhelmingly in support for a general increase in prescribed burning, 56 for, and 2 against. This rule change facilitates more prescribed burning across land ownerships will reduce the amount of fuels contributing to large scale intense wildfires. Prescribed fire provides an essential tool to take proactive steps to reduce the fire hazard around communities and restore forest conditions, especially in light of climate change. It is important to maintain a balance between public health and reducing fire hazards in the lands that surround our homes and communities. This rule changes takes a step in that direction. Many of the fire prone forests of southern Oregon are arranged in a checkerboard ownership pattern with industrial land interwoven with Southern Oregon BLM Lands. Industrial timber plantations have been proven by science to burn faster, hotter, leading to more smoke production than natural forests. Prescribed burning can offset the amount of fuels available when wildfire does strike in subsequent year.